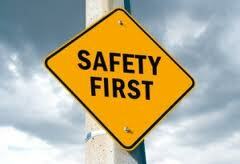 While on your vacation abroad this summer, safety should be one of your main concerns. Even though the odds are you will have a safe and enjoyable trip, it’s always a good idea to think of your safety first and practice a few good safety tips to keep that dream vacation from turning into a nightmare. First and foremost, always know where your U.S. embassy or consular offices are and carry their contact information with you, no matter what country you visit. Good Traveloper safety begins at home. While packing avoid taking your best jewelry and don’t dress in a way that says “I’m a tourist with money to burn”. Just use common sense when deciding what valuables you really need to take on your trip. Don’t take anything you can’t afford to lose, just in case. Make sure you leave your family or friends a copy of your itinerary in case they need to contact you in an emergency. Make two photocopies of your passport identification page, airline tickets, driver’s license and credit cards you plan to bring with you. Leave one set of copies with family or friends at home and pack the other set in a bag that is separate from the one you usually carry the originals. When you are a guest in another country you are subject to the laws of that country. Before you travel read up on the laws of the country you are visiting and make sure you understand them. Good resources for this is a library, your travel agent, and the embassies, consulates or tourist bureaus of the countries you are visiting. Plan to stay at larger hotels that have better security whenever possible. When there is a choice of an airport or airline, look into the safety records of your choices before you fly. Use the same common sense when traveling overseas as you would at home. Don’t use short cuts down dark, narrow, and scary alleys or streets. Avoid public demonstrations and other civil disturbances. Don’t discuss your travel plans or personal matters with strangers. Wear the shoulder strap of your bag or purse across your chest so it's not easy for someone to run by and grab it. These are all common sense safety measures, but when you are on vacation and interested and excited about your surroundings it’s very easy to forget or not pay attention to something that could be an invitation to thieves or criminals. When staying at a hotel don’t leave your money or valuables in your room when you go out, put them in the hotel safe. If you are planning on being out late, let someone know when you expect to return. Read the fire safety instructions in your hotel room and know exactly where the fire exits are and the route for getting out of the hotel quickly and safely in case of a fire. Use the same common sense safety ideas when using the public transportation in the country you are visiting as you would at home. Only use taxis that are clearly identified with official markings, ask the staff at the hotel you are staying at what markings are on an official vehicle for hire and avoid entering a vehicle for hire even if they offer a discount, a lot of times in countries abroad there are unofficial vehicles for hire that rob you or worse once you are locked in the vehicle, so its better to turn down a cheap ride because you could lose a lot more than the cost of a fare in the long run. Avoid carrying large amounts of cash on your trip. Change your travelers checks only when you need money and keep that to what will get you through until you are able to cash more of them. When cashing your travelers checks only use authorized agents. If any of your possessions are lost or stolen, report the loss immediately to the local police. Keep a copy of the police report for insurance claims and as an explanation of what happened. Countries abroad do a very good job of hosting their guests. They police popular tourist destinations and in most cases you are safe when traveling, but there is always that chance that something could happen no matter where you are and no matter what safety precautions you take, so make sure you minimize all risks and stick to commonsense safety and your trip will be a memorable experience for all the right reasons.